This chapter talks about photographs and how you can consider the photograph in a variety of different contexts. He first talks about the internal context. This is where you pay attention to the matter, medium, form, and the relations those three have. The second type of context he talks about is original context. This is the type of context where you need more information than just the image can provide so you would look for outside resources. The third type of context that is explained is the external context. This is where the image is found or the situation it is in. For example in a book, museum, newspapers or magazines. Then the chapter goes on to talk about the contexts in greater detail. The chapter talks about Barbara Krugers untitled work ("surveillance") and relates it to the different types of contexts. 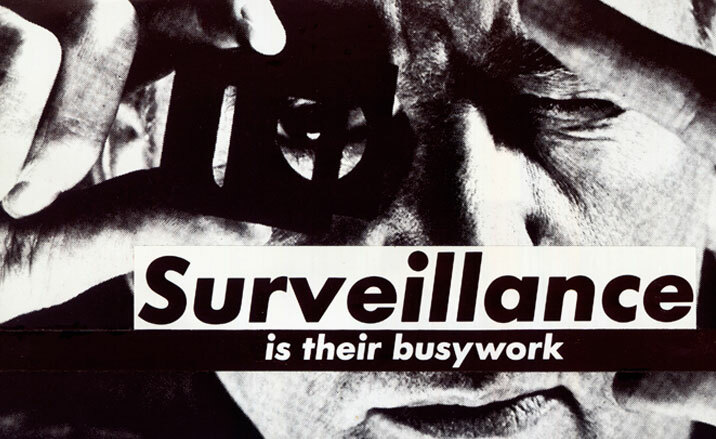 Then it goes into more detail about her work ("surveillance") and the different types of categories. Descriptive, explanatory, interpretive, ethically evaluative, aesthetically evaluative. and theoretical. I really like how this chapter related back to an earlier chapter and showed how they different categories fit into this chapter.